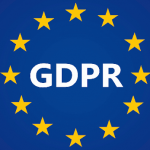 For all its good intentions, the European GDPR online data privacy and confidentiality regime that went into effect earlier this year has a downside. If you aren’t familiar with GDPR, it’s a series of regulations that apply to people who collect data from customers and others. It stipulates how a data gatherer has to inform people and how they manage the data once it is in their possession. For businesses, violating the regulations can be financially crippling. While it is technically a “European” thing, it also applies to pretty much anyone – wherever they are – who does business online with Europeans. So its effects are being felt all over the world. But what could be the downside of improved data privacy for individuals, you might ask? We thought the same thing until we encountered a couple of recent European trade shows and their press lists. Show press lists are always important when you’re looking to arrange meetings with media representatives and industry analysts at the event. You know who’s there, you know what your client is doing that’s hopefully interesting, and you reach out to the relevant press contingent to entice them with a meeting. But for the latest two European shows, one show completely ditched its press list, pointing to the “confidentiality” of the individuals’ names and contact information. The other one gave the names of the publications or analyst firm, with titles of those attending, but no names or contact data. Basically, a useless spreadsheet. It’s irritating enough from a PR person standpoint, but the bigger issue is that the vendors who support these shows are hurt. At least part of the reason a vendor goes is for exposure, not only to customers but to the media and analysts. You can’t achieve that exposure if you can’t identify who will be there. The solution seems obvious. Clearly indicate upfront to those attending as press that their names and contact information WILL be made public to the vendors and their representatives. You’re not violating privacy if people understand at the start that their name, etc., will be shared. In my editor days, I never questioned that my contact information would be available to exhibitors and their PR folks. That helped keep me from being inundated by “are you going to the show?” contacts, which is what happens when you’re left to guess because there’s no press list to draw from. Maybe this is all first-year paranoia about the GDPR regulations, since these rules are backed up by some very harsh penalties. So maybe things will work themselves out next year. We can only hope so.